Sampdoria will be looking to put an end to their four-match losing run in the Serie A when they host Torino at the Stadio Comunale Luigi Ferraris on Wednesday night. 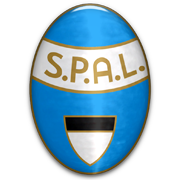 La Samp have been struggling at the back of late and taking into account that they conceded 11 goals in previous four away games in the national championship, we seriously doubt that the relegation strugglers are capable of keeping a clean sheet against Torino. Il Toro were held by Verona to a goalless draw at the weekend and they will be aiming to start a new goal-scoring run in the Serie A when they face Vincenzo Montella’s troops in Genoa. Considering that both sides will go for a win, there is every chance we will see a high-scoring affair that should end in draw. A total of ten goals were scored in previous three meetings between the two sides.